Dash has logged higher daily transactions than Bitcoin Cash or Bitcoin SV frequently over the past two months. 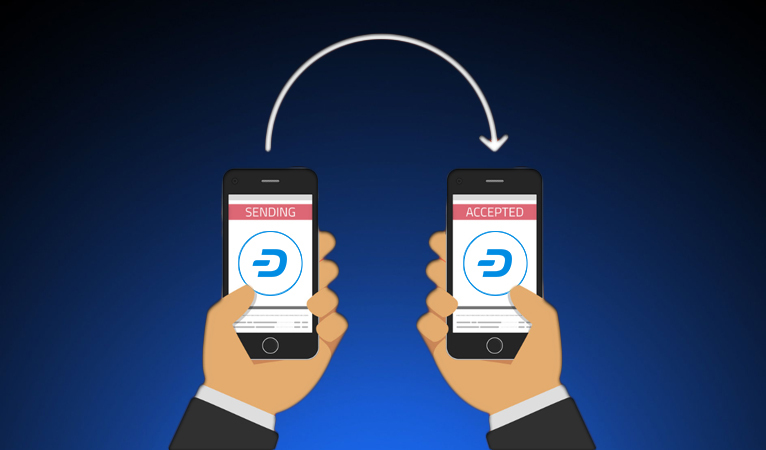 According to data pulled from CoinMetrics, Dash’s transaction count has consistently pulled ahead of that of its closer payment coin equivalents, Bitcoin Cash and Bitcoin SV, particularly in recent days. 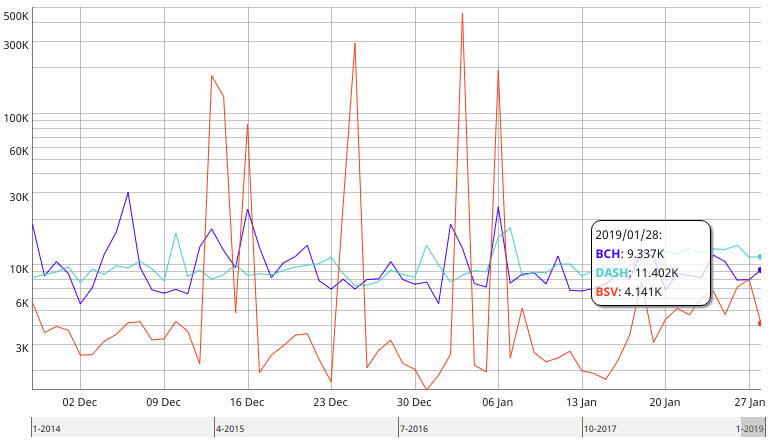 During the period between November 28th and January 28th, Dash logged 64.5% of days with higher network transactions than Bitcoin Cash. Dash also held higher transaction counts than Bitcoin SV during 88.7% of these days, with all but one of the remainder seeing massive one-off spikes in the Bitcoin SV transaction count, likely related to a stress test or other experiment. Additionally, differences in transaction values across the three chains were observed as well, with a much starker divergence than that observed on transaction volume. According to data pulled from BitInfoCharts, average transaction values for both Bitcoin Cash and Bitcoin SV ranked significantly higher than that of Dash, often ten times higher or more, particularly around the time of the chain split. With median transaction value, Dash maintained a relatively low and consistent value, while both Bitcoin Cash and Bitcoin SV ranked significantly higher on some days, yet significantly lower on others. While permissionless and pseudonymous networks such as these give no absolute data on use purposes, inferences can be made on the types of uses a network can be reasonably assumed to have. Low average values suggest the daily transfer of value on the network is distributed among more transactions rather than fewer, and a low median value suggests that a typical transaction is a small purchase, with fluctuations between higher and extremely low median values suggesting intermittent bursts of activity from microtransactions or stress tests throwing off typically higher transaction values. A large disparity between average and median values suggests a combination of very small and very large transactions, rather than a more uniform range. 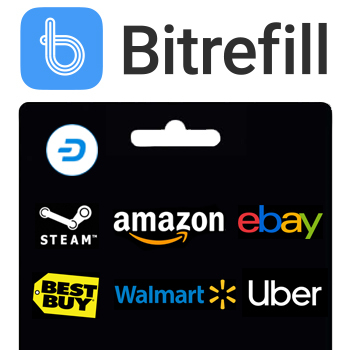 Combined, this data seems to suggest that most Dash transactions are likely used for small purchases on a regular and consistent basis, while Bitcoin Cash and Bitcoin SV transactions tend towards larger purchases and value transfers, with occasional bursts of microtransactions. Devastating effects of a community and chain split? 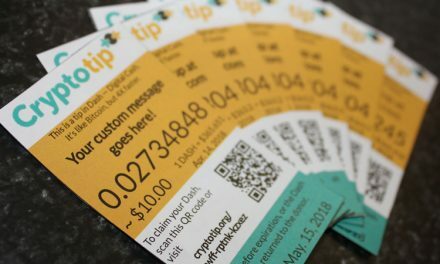 The transaction discrepancy may be attributable to the relatively recent chain split between Bitcoin Cash and Bitcoin SV. Daily transaction data pulled over the past six months show a pre-split Bitcoin Cash regularly topping Dash’s transaction volume. 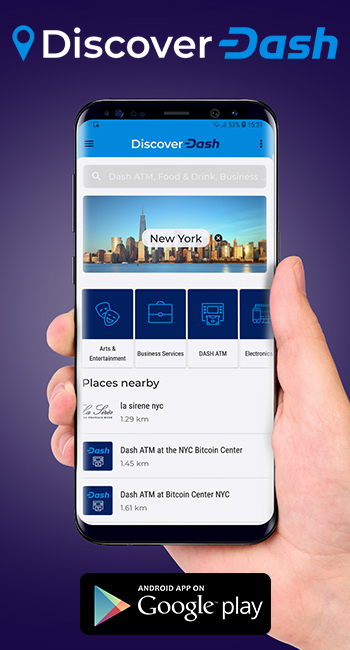 In the months since the split, however, this trend has reversed as noted above with Dash and Bitcoin Cash usually very close in daily transactions, with Dash recently pulling ahead. Some days, Dash’s transaction volume has even been greater than that of Bitcoin Cash and Bitcoin SV combined. This data alludes strongly to the power of network effects. 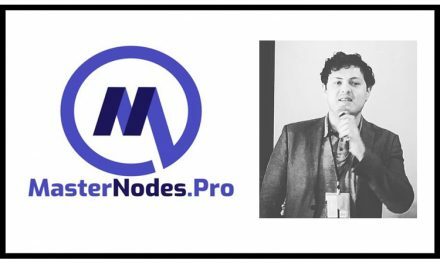 The chain split took several popular projects such as the HandCash wallet app and the blogging platform Yours over to exclusively the SV chain. However, rather than simply splitting activity among the two chains, total activity seems to be diminished. This may indicate that network effects provide significant value to users, themselves leading to more users and stronger network effects. 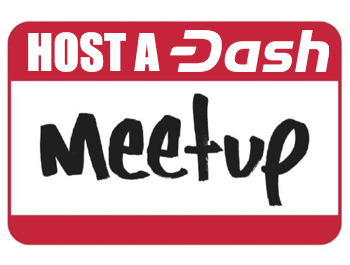 Dash Talk Feat. 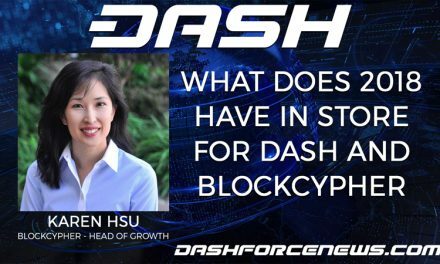 Karen Hsu – What Does 2018 Have In Store For Dash & BlockCypher?